Improve the care you deliver to patients with assistance from A Servant's Heart of Greensboro, North Carolina. We provide our clients in Guilford County, Forsyth County, and Alamance County with health care staffing solutions. Whether you need RNs, LPNs, or CNAs, rely on us to match you with proficient medical support staff. Save time and money on filling the ranks of your medical staff with our assistance with our zealous approach to recruitment, orientation, and our commitment to the ongoing professional development of our staff. 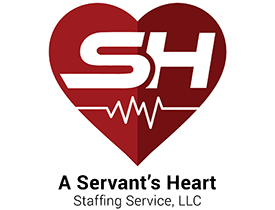 Our staffing agency provides Registered Nurses, Licensed Practical Nurses, and Certified Nursing Assistants to skilled nursing facilities, assisted living facilities, and physician's offices. We offer extremely competitive rates, to keep labor cost down, without decreasing productivity. Share in our clients goal to maintain or become a five-star rated facility for our skilled nursing facility clients. Support our clients in maintaining a compliant staffing pattern. Per diem staffing and temp-to-hire positions are available based on your requirements. 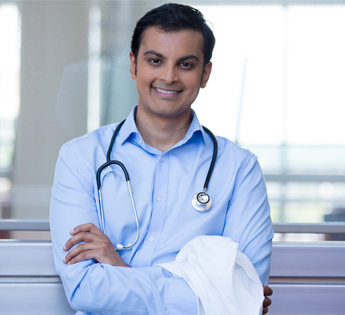 If you need a health care professional immediately, we also offer 24-hour availability. The staff members we send to you have gone through detail credentialing, highly informative orientation and skills validation assessment which prepares them to join your team. You can also feel safe about the health care professionals we provide for you because we practice selective recruitment, making every effort to identify compassionate oriented professionals, conduct a national background check on each one. They also undergo a complete health screen. Additionally, we provide OSHA and Infection Control Training.